• Do I Really Need to Graft Extraction Sockets? • What are the Types of Bone Grafts? • What is a Barrier Membrane? • Is Informed Consent Needed? 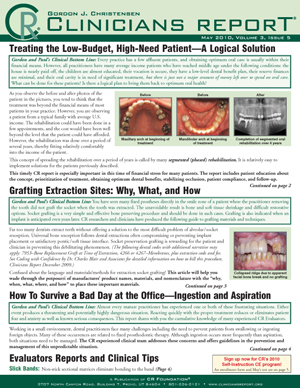 • Patient Education—Why Bone Grafting? • Should Antibiotics be Prescribed?